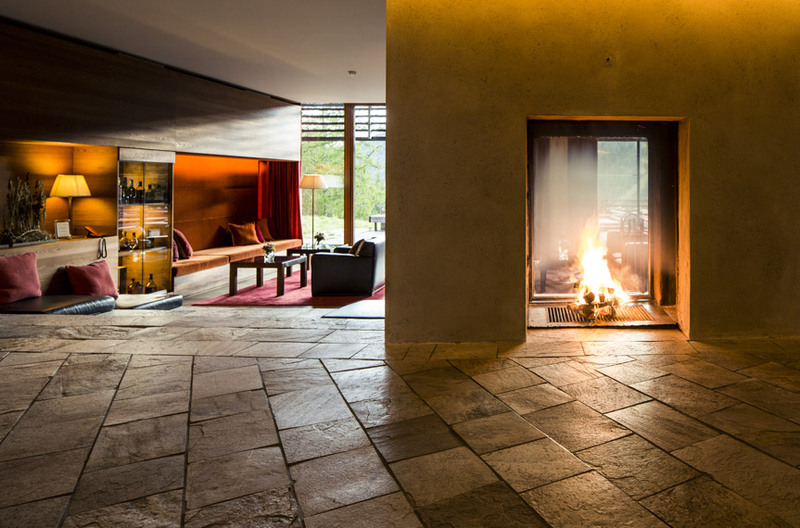 Entrepreneur Ulrich Ladurner realised a dream when he bought the dilapidated ruin of Berghotel Vigiljoch in the South Tyrol, which was to become his five star Vigilius Mountain Resort when it opened in 2003. 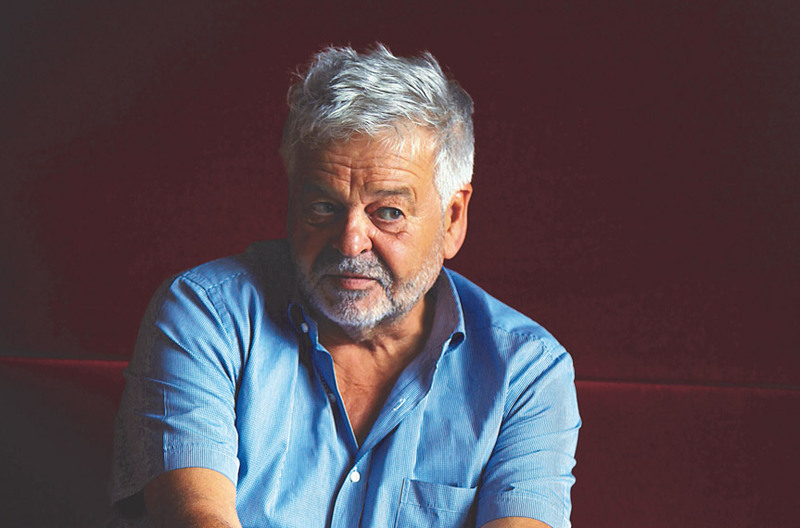 He had no experience in tourism, but an ‘eco, not ego’ vision, shared by architect Matteo Thun, to build a modern refuge on the special site – created by man, but dictated by nature. 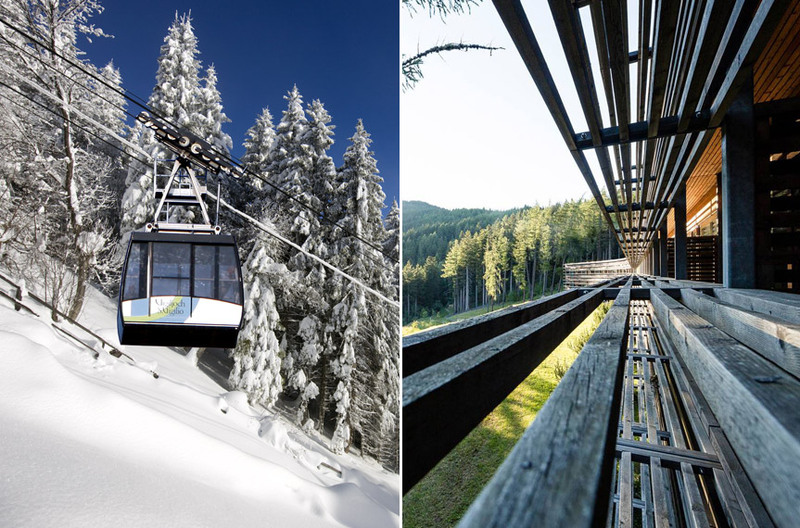 Vigilius is set in a UNESCO World Heritage listed area amidst untamed forests, and at 1500 metres atop a mountain only accessible by cable car, making sustainability a necessity. The ‘eco’ started with location-led design and construction, using natural materials from renewable resources. 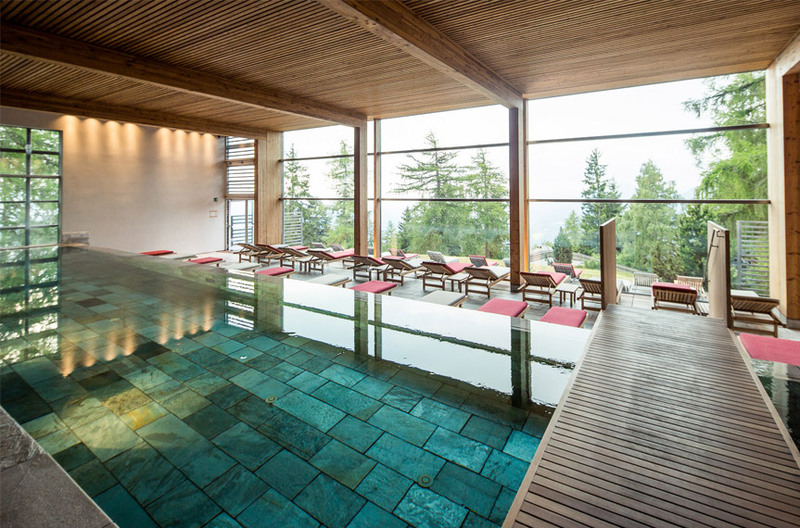 Built from larch wood felled from the mountain and stone, the hotel resembles a large fallen tree, and blends into the surrounding forest and meadows. 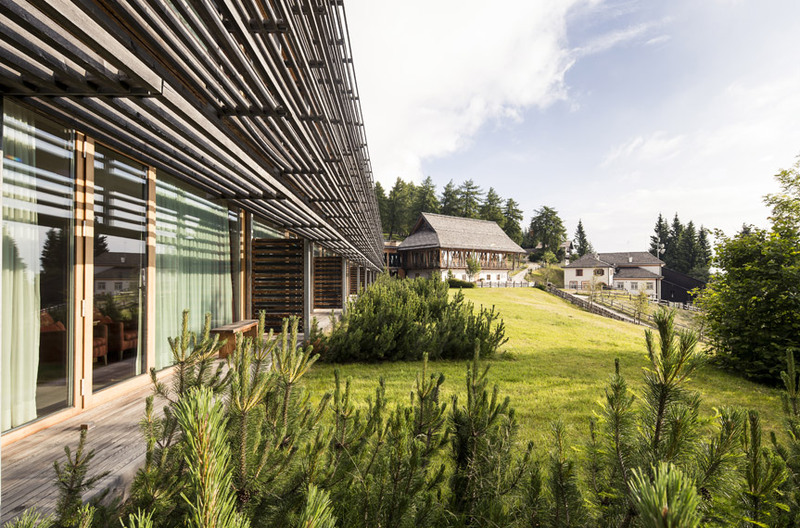 Featuring (triple-glazed) glass to capture the natural light, temperature regulating clay walls for the rooms and suites and a green roof, it was the country’s first A-class Climate House certified hotel. 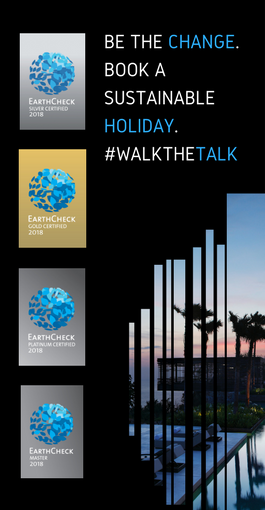 As one of the few EarthCheck certified establishments in Italy (they are certified at Silver level), Vigilius is a pioneer in ecological luxury. Sustainable practices save money and supports local community. Spring water from a waterfall on tap in the rooms, and used to fill the infinity pool at the spa. Fermented food waste is used to create biogas, and the waste from that, used as garden compost. A biomass heating plant is fed by waste wood chips provided by local farmers, which gives them extra income. The hotel also operates on a zero kilometres principle, sourcing its needs locally as much as possible. 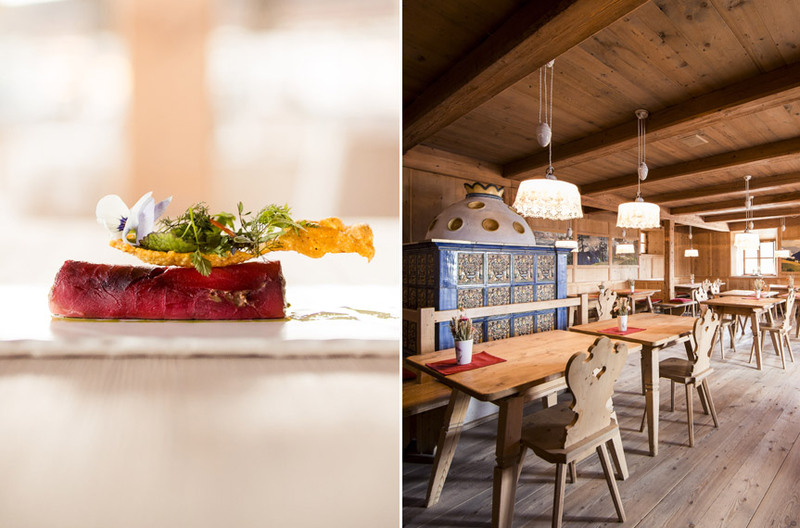 Ulrich has a background in health and nutrition and Simply: delicious in the restaurants means local products and regional gourmet cuisine. It’s personal, with producers, like butcher Alexander Holzner, invited to deepen guests’ understanding of their products over an aperitif. ‘To me, “simplicity” is a great challenge – philosophically as well as economically,’ Ulrich tells NOW. ‘I find the world’s best wines boring. I only drink wine when I can experience its location and the people who created it.’ Annual events held at the hotel include the ‘Vernatsch Cup’, which supports local vineyards and builds the reputation of this local specialty wine.